The U.S. and Ethiopia tussle over the 737 MAX probe. Tension is simmering between the two countries as investigators prepare to release an interim report about the Boeing 737 MAX jetliner that nose-dived after takeoff from Addis Ababa last month. The housing market shifts toward buyers. Falling mortgage rates, rising home inventory in tight markets and slowing home-price growth have led to price cuts and fewer bidding wars, boding well for the spring sales. Officials defend Trump's plan to cut aid to Central American nations. 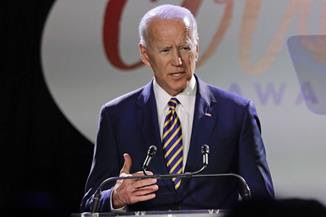 Amid criticism of President Trump's proposal to cut funding to El Salvador, Guatemala and Honduras, acting White House chief of staff Mick Mulvaney said those countries need to do more to stem the flow of migrants toward the U.S.
Joe Biden denies inappropriate behavior. The former vice president said he didn't believe he ever acted inappropriately toward women after a former Democratic legislator accused him of inappropriately kissing her at a 2014 event. Democratic presidential candidates woo Farm Belt voters. Sens. Elizabeth Warren of Massachusetts and Amy Klobuchar of Minnesota, as well as former U.S. Housing and Urban Development Secretary Julián Castro, are pitching their plans to foster competition in the agriculture industry and stem consolidation of corporate power in the U.S.
Erdogan's grip on power loosened by election losses. The party of Turkey's President Recep Tayyip Erdogan appeared to have lost the mayoral race in its historical bastion, Istanbul, a stinging setback for a leader who has towered over Turkish politics for the past 16 years. The Turkish lira came under selling pressure this morning​ following the news. Russia and the West watch Ukraine's elections. Volodymyr Zelensky, a comedian with no political experience, was poised to win the first round of Ukraine’s presidential elections. Final results aren't expected for days but with no candidate close to receiving more than 50%, the election appears set to be decided in a runoff on April 21. Fake news lights up WhatsApp as Indian elections loom. Efforts by Facebook's messaging app and the country's government to stop the spread of misinformation are having little effect in WhatsApp's biggest market. Michael Avenatti's showdown with Nike backfires. 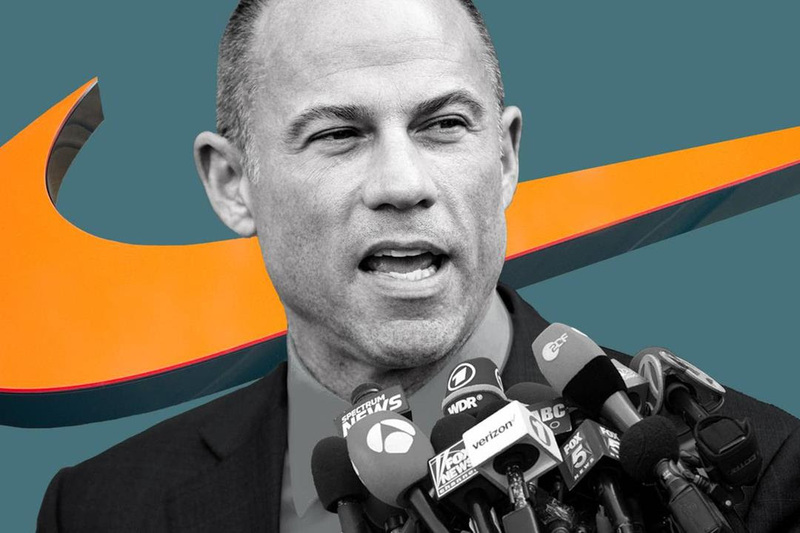 The celebrity lawyer faces extortion and fraud charges after a tax investigation and a secretly recorded meeting between Mr. Avenatti and the company. It is a swift comedown for a lawyer who recently made a national name for himself. It isn’t time to cut rates, says Fed’s Neel Kashkari. The Minneapolis Fed president, a consistent opponent of interest-rate increases, says it isn’t the time to cut borrowing costs and believes the central bank is in the right place as officials assess the health of expansion. A second-quarter pause often follows stocks' rally. Issues around trade, monetary policy or corporate earnings—which boosted markets in the first quarter—could push markets lower in coming months. Apple News+ isn't the future of news. The tech giant's new subscription service gives you access to hundreds of titles (including the Journal), but it has limitations, writes columnist David Pierce. 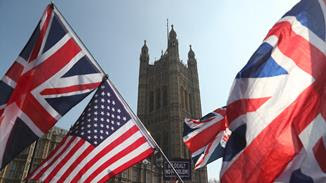 Why the Brexit "mess" could be an American problem as well. The U.K.'s struggle to form a plan for exiting the European Union is creating real political turmoil within the country. The WSJ's Gerald F. Seib explains why that matters for the U.S. as well. New social rules are confusing Saudis. Saudi Arabia's crown prince has fostered the impression that he is spearheading reforms, but authorities are punishing tradition flouters who spur social-media backlash. Your drone-delivered coffee is (almost) here. Drones might never make it in the big city. That’s why drone developers are eyeing the suburbs. The Final Four is set after Michigan State beat Duke. 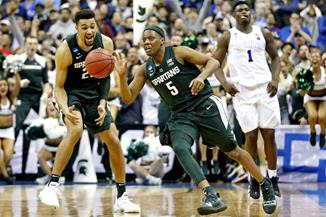 The Spartans will face Texas Tech and Auburn will take on Virginia in the semifinals of the NCAA men's basketball tournament Saturday. Meanwhile, the locker room rugs at tournament sites are causing off-court drama. Slobodan Milosevic, president of Serbia and the Federal Republic of Yugoslavia and Europe’s last Communist-era strongman, was arrested after a 36-hour standoff with police outside his Belgrade villa. Milosevic ultimately stood trial at The Hague on charges of war crimes in connection to the wars in Croatia, Bosnia and Kosovo. He conducted his own defense in a five-year trial but died of a heart attack before a verdict was reached. Turkey's President Recep Tayyip Erdogan faces an election test. The news item in Sunday's What's Next newsletter misspelled Mr. Erdogan's surname in the first line.